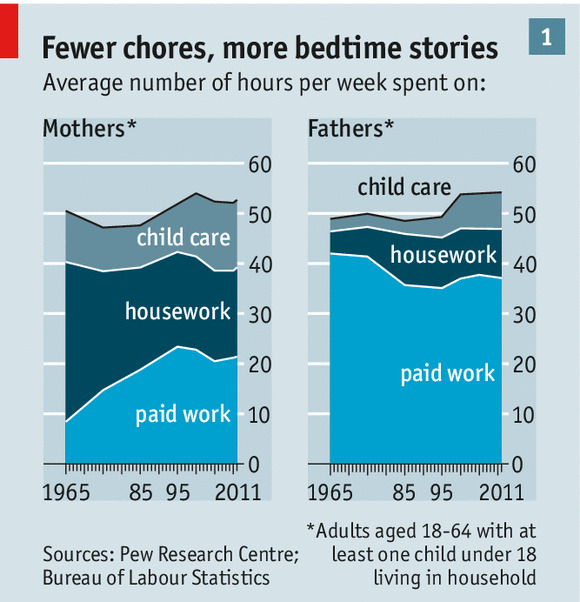 The below infographic, as titled, shows the average number of hours per week spent on various activities by Mothers and Fathers over the last ~45 years. The three main categories of activities are: child care, housework, and paid work. Mothers and Fathers are categorized as adults aged 18-64 with at least one child under 18 living in the household.